CNN White House correspondent Jim Acosta declared Thursday that President Donald Trump referring to the media as the “opponent of individuals” could assist produce an environment where journalists are killed. Acosta is in the midst of penning a book on his purported” frightening” experiences covering the administration entitled,The Opponent of individuals: A Dangerous Time to Tell the Fact in America. The forthcoming book, slated for release June 11, will information “never-before-revealed stories of this White House’s rejection of reality, while laying out the stakes for how Trump’s hostility toward facts positions an unprecedented risk to our democracy,” according to the Associated Press. 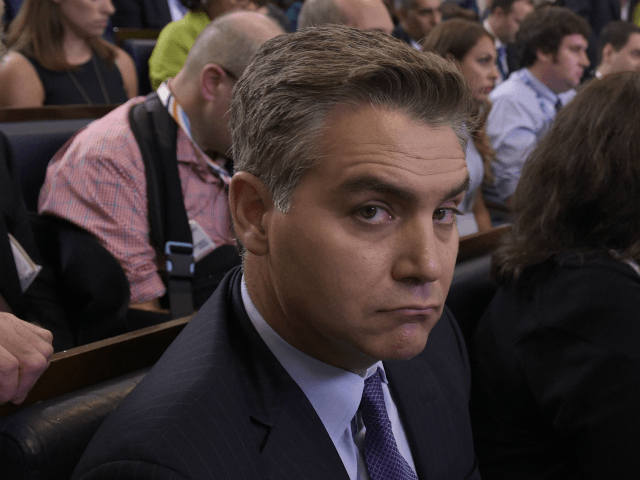 Acosta made national headings after he was disallowed from the White Home over a heated back and forth with President Trump during an interview the day after the 2018 midterm election. In action, the network took legal action, which led to a federal judge renewing the reporter’s press qualifications. The White Home implicated Acosta of stopping working to comply with “standard requirements” in his exchange with the president.